Summertime is the ideal time to play outside and have fun on outdoor adventures, but it’s not so easy to find the right places if you live in a big city – also considering the fact that the over 400 outdoor sports facilities and swimming pools in Milan are usually overcrowded. Lots of public and private organizations usually hold interesting summer festivals inside the courtyards and cloisters of many historical buildings, such music and cinema at the Sforza Castle, the Royal Palace, the Conservatory of Music, the Diocesan Museum … and many others. This year, however, the Milanese summer will offer its best treats to children aged 5 to 11. 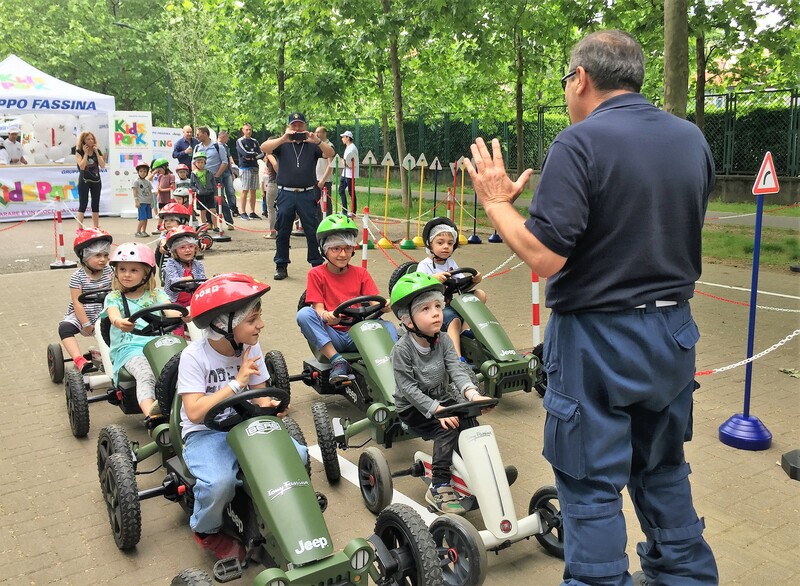 The new projects available in several city parks will be offering a lot of educational activities and workshops for kids to enjoy not only with their mums, dads, and siblings, but also with other children, including the disabled. 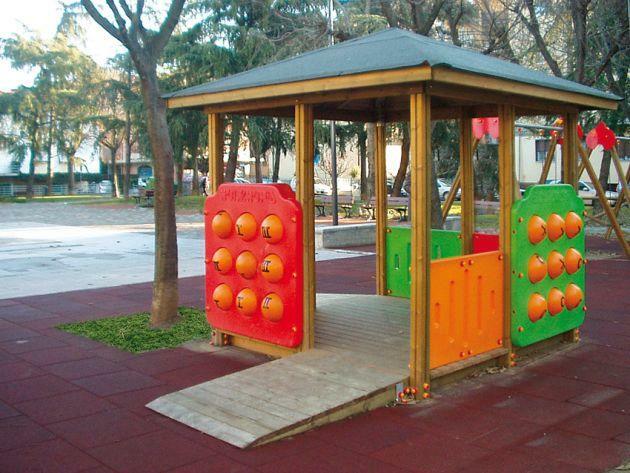 At the Indro Montanelli Public Garden, situated in the city centre, kids can enjoy two important game projects called the “Game Park for All” and the “Kids Park“. 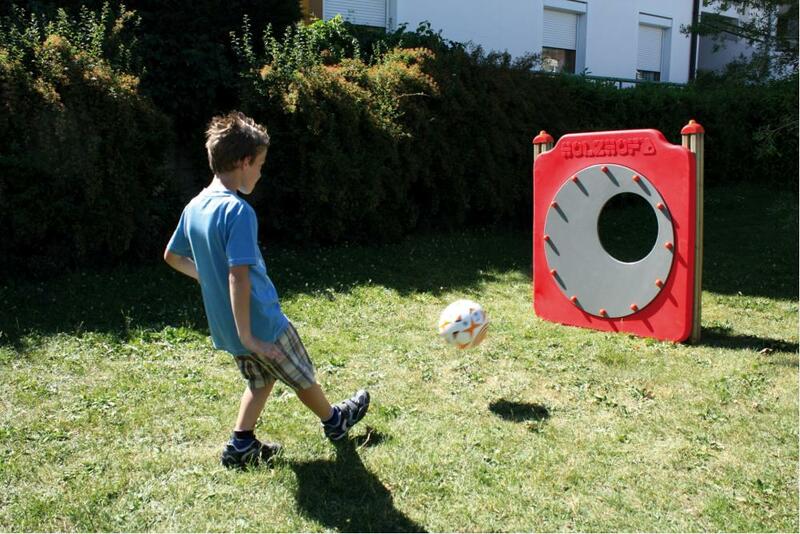 Game Park for All, also available in other public parks of the city, is equipped with new barrier-free games accessible to children with motor and/or intellectual disabilities. These activities and their ergonomic features have been designed by several non-profit organizations that have been working together on the project: Associazione L’Abilità, which supports families with disabled children; UILDM Milano, which is part of the Italian Muscular Dystrophy Association; Disabilities No Limits, which is the brainchild of the paralympic athlete and 100- and 200 metre-race Italian champion Giusy Versace; and Inter Campus, the international department of the famous Milanese team Inter set up to encourage children to play soccer. Multi Xc03 Little House (photo). Moreover, on June 2nd and 3rd from 10.30 to 19.00 a pilot project called Kids Park will also be launched not far from this playground. On dedicated areas it will offer a series of activities and workshops designed to provide the adults of tomorrow with self-confidence and self-esteem, teaching them self-respect, respect for other people and for the environment. An absolute novelty for Italian and foreign boys and girls who speak English is the possibility – in some workshops – to communicate in English with native teachers of the ICS International School, the first Milanese school that offers an international study curriculum. The admission to this park village is free and open to the public – all you have to do is register at the entrance. The village is divided into different educational areas: Driver’s, Behavioral, Food, Music and Gym. Road education is of paramount importance for boys and girls living in a big city: inside the Driver’s Educational Area the Retired Traffic Police Association will be on hand to teach kids the meaning of road signs and the rules to follow to safely negotiate road traffic. After the theory lessons, children can try their hand driving pedal cars on a real track, take a driving test and get their driving license! Boys and girls with artistic skills can also head to the car painting sector where they will be able to paint car silhouettes, or alternatively participate in the Fiat Foto Fun where they can have their photo taken aboard a beautiful Fiat. Alternatively, ICS International School offers a design laboratory equipped with kits and different car templates to be customized with any natural material available in the park. The best “natural” cars are then judged by a jury that will award 9 Scholarships for the three years study course at the ICS International Secondary School First Degree. Teachers can also invite kids to explore the park, discover its natural features and enjoy outdoor games such as Connect Four, Prisonball, Capture the flag … and much more. After so many activities, a good snack is in order, and an educational setting such as this one cannot fail to highlight the basic principles for healthy eating: when it comes to choosing fruits and vegetables, better to pick fresh, seasonal produce! Finally, the natural environment experience will also include musical activities, ideal to develop body perception, motor skills, as well as perceptual, affective and relational abilities: the musical association ICM Insieme Con la Musica encourages kids to aggregate and find pleasure in playing together. Their teachers, in a simple but effective way, will show them several musical instruments and explain their use and potentialities, while live choir groups will demonstrate how the human voice is able to perform different sounds. Moma Studios, a reference institution for dance nationwide, will also involve children in dance and self-defense classes, teaching them how to develop a disciplined mind and to bond with each other. Children will try the dynamic and rhythmic dance steps of hip hop, breakdance, street dance, kickboxing, qwan ki do. All these activities are excellent for developing non-violent behaviors and gaining self-discipline. To know more about the KidsPark, a detailed activities program is available in Italian at www.milanokidspark.it, or on their facebook page; follow the hashtags #imparoalparco and #kidspark to view photos and details of the May events. Besides Giardini Montanelli, here is a list of other addresses where to find “Game Parks for All”: Martiri della Libertà Park inside the Martesana Park; Bompiani Gardens, in Piazza Giovanni XXIII; the Gardens in Via Jemolo; Via Rogoredo; Via Dora Baltea; Piazzale Bacone.